The Foundation's Endowed Professorships represents the highest form of academic recognition awarded to faculty members for their work in their academic disciplines. FOR THE COLLEGE, endowed professorships are crucial for recruiting and retaining the highest-quality faculty. FOR PROFESSORS, recognizing the contributions of senior-level faculty as well as providing funds to encourage their scholarship are key functions of these endowed positions. FOR THE STUDENTS, one professor can touch hundreds of lives through the courses they teach, students they mentor, or through their own academic work. At BRCC, students get to rub shoulders with our distinguished endowed professors. FOR DONORS, while most donors provide funds for the overall improvement of the College; some have personal interests in specific areas of study. By funding endowed professorships, donors can convene bright minds to focus on their particular interests and spur advances in those areas. Read more about our distinguished endowed professors by clicking on the photos below. Sterling Forbes was in his last semester in culinary arts at BRCC when a boating accident on False River suddenly took his life on May 16, 2009. He was just 22. Two of his friends were also killed that day on False River. His mother, Michelle Forbes has nothing but fond memories of her son who had an ever-present smile and a fabulous sense of humor. Sterling was a student in BRCC's culinary program where he truly flourished. He knew the instructors well and really liked them. One of those instructors was Chef Jean French. “Sterling was a wonderful student. Very helpful. Always smiling and just good nature. I still miss him. I wish every one of our students could be like him,” says Chef French. Each semester, the Foundation remebers Sterling by awarding and honoring students receiving the Sterling Forbes Endowed Scholarship. Michele, her family, and friends and member of BRCC's Executive administration come together to share in this special occasion. Click here for photos from the Sterling Forbes Endowed Scholarship Luncheon. A production of the company of the iconic Alvin Ailey American Dance Theater, Ailey II is universally renowned for merging the spirit and energy of the country’s best young dance talent with the passion and creative vision of today’s most outstanding emerging choreographers. 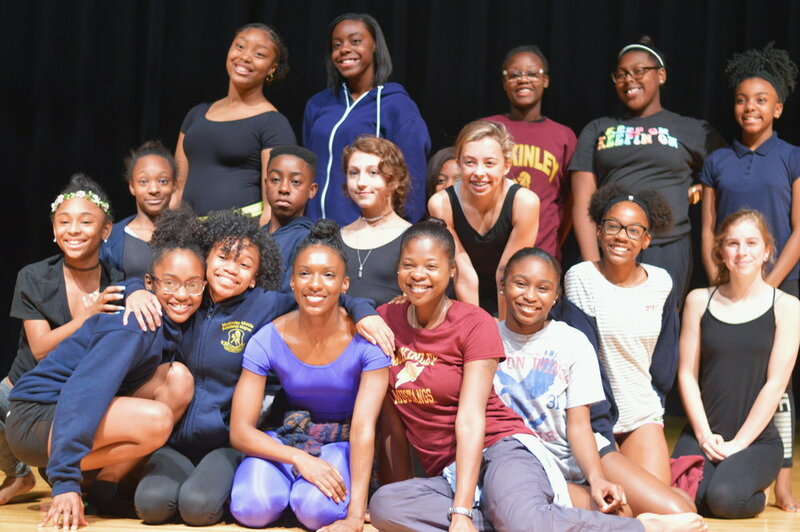 Prior to the performance, the Chancellor's gala reception included performances by aspiring middle and high school dancers, many of whom participated in one of the Foundations school artist residencies presented by Baton Rougean Terri Ayanna Wright, a former Ailey II principal dancer and current member of Carolyn Dorfman Dance in New York. 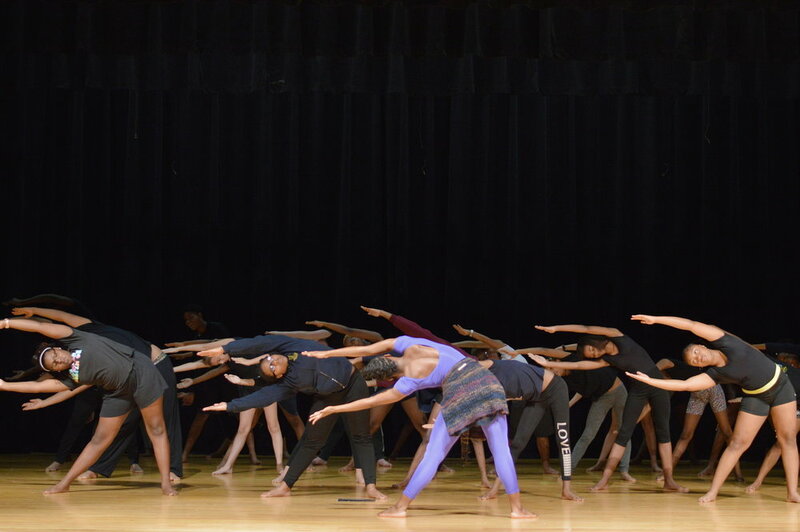 Founded in 1974 as the Alvin Ailey Repertory Ensemble, the company embodies his pioneering mission to establish an extended cultural community that provides dance performances, training, and community programs for all people. Under the direction of Sylvia Waters from 1974 to 2012, Ailey II flourished into one of the most popular modern dance companies, combining a rigorous touring schedule with extensive community outreach programs. The Eyes of Freedom: Lima Company Memorial, created by Anita Miller, depicts the fallen Marines and Navy Corpsman of Columbus, Ohio based Lima Company 3/25, one of the most heavily engaged units of Operation Iraqi Freedom. The 23 life-sized portraits have become a powerful traveling veterans tribute honoring all who answer our nation’s call. The traveling tribute is supported by a board of directors consisting of retired military, business men and women and clergy. A student motivated anthology called “Voices from the Bayou” has been produced and edited by Professor Clarence Nero and published through the Baton Rouge Community College Foundation for the purpose of allowing students a voice regarding their views relating to the shootings and historic flood in Baton Rouge over the past year. Proceeds from the publication will benefit English Department students and faculty. Baton Rouge Community College Foundation was awarded a $10,000 Keep Louisiana Beautiful Healthy Communities Grant which will be utilized by the college's STEM department and environmental clubs to help reinvigorate the recycling program hosted at various locations. The Great Flood in Baton Rouge displaced over 30% of our faculty and staff and hundreds of students. With initial contributions from faculty and staff, the BRCC Foundation Disaster Relief Fund was created to support students and the BRCC Community impacted by flooding. Over 200 students were able to purchase textbooks and school supplies and a number of faculty and staff members received emergency assistance. With support from the fund, the BRCC Disaster Resource Center was created to augment emergency efforts. The Center was able to assist in recovery, aided by generous donations from partners, including Baton Rouge Area Foundation, Wallace State Community College and San Jacinto Community College.